Through the years I had heard occasional rumors of a distant relative on my father’s side called Indian Mary. When my son the anthropologist was writing about Ishi, the last Yahi Indian, the time seemed ripe to research the rumor. 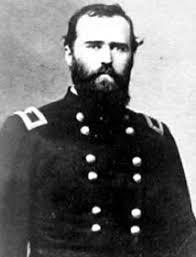 On balance, and on record, there was also an ancestral Civil War general, Eugene Carr, who later fought in the American Indian wars. More recently there was my own grandfather, reportedly a gentle man, who fought in almost every war in his lifetime. It’s a challenge to calculate how he managed to sire four boys and a girl, quite closely spaced, while on leave. An even greater challenge must have been for my small but spunky grandmother to raise them all on sporadic soldier’s allotments. 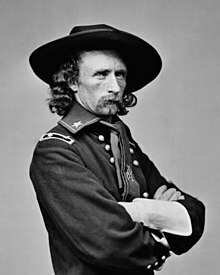 My father, late in life, chose to loathe another Civil War general who went on to slaughter Indians, George Armstrong Custer. He read everything published about Custer, who was, to be fair, loathed by many others. He and my mother travelled to various Custer sites, Gettysburg and Little Big Horn, if not to Custer’s grave at West Point. I might perhaps mention that a subsidiary interest of my father’s was the Donner Party. It gave us both considerable satisfaction for me to assign my father to review a psycho-biography of Custer for the Berkeley Gazette, where most, but not all reviewers were my more literate friends and relatives. Alas, Evan Connell’s fine book on Custer, Son of the Morning Star, did not appear before the Gazette and its nepotistic book section folded in 1984. The latest grand entry in the long, defiant tradition of nepotism is of course Potus 45. Whom to cite first? British journalist Matthew Norman predicts much nepotistic merriment to come: Ivanka will win the $600 million contract to supply new U.S. Army uniforms, Donald Trump Jr. will replace Ulysses S. Grant on the $50 dollar bill, & eleven year-old Barron & two of his teddy bears will be appointed to replace the National Security Adviser and two four-star generals in the Situation Room. 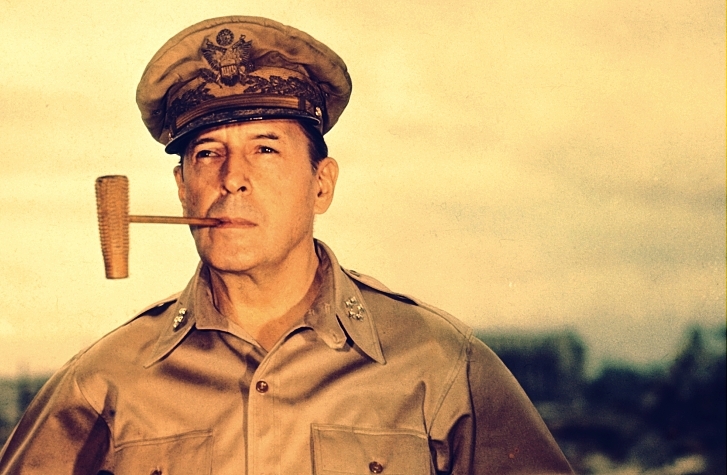 Douglas MacArthur’s signature corncob pipe is still being manufactured…. It comes as no surprise to learn that P-45, as one world-class narcissist to another, has expressed his admiration for the doughty General MacArthur. He would have been a bit young to have watched the Congressional hearings that determined beyond doubt that Truman was justified in firing the general, and it’s hard to imagine Trump Sr. backing the Missouri haberdasher. George Armstrong Custer was ranked last in his West Point graduating class, and Douglas MacArthur was first in his. But they were equals in egotism, flamboyance, and blinding self-righteousness. Custer’s oblivious bravado ended his and many hundreds of others’ lives at Little Bighorn. MacArthur was booted before he could make the fatal decision to bomb China. Like other self-promoting egotists, MacArthur later considered running for president, but had the brains to decide against it in the end. Shortly before my father shipped out to the Pacific, I remember awakening, wailing, from a dream of a tractor, or a tank—ratcheting up the screen of my bedroom window. And one morning as I was playing alone in the courtyard of our apartment building, a moving van began to back slowly toward the wall behind me. In each case, I waited anxiously to be crushed by a large machine. This would have been wartime San Francisco. My baby brother was still nursing after Pearl Harbor, when my father enlisted. Even in her nineties, my mother’s eyes would turn hard as she repeated that she could never forgive him for leaving. At thirty, with two children, he might have been deferred. In fact, the war did mark him and us for the rest of our lives. Early on, even before he was first posted to Alaska, he stopped eating. My mother was summoned, and we went to to visit him in a Vancouver hospital. In some gloomy Kodak prints, we are sitting on a porch, my father rail-thin in his dark uniform, and my mother, also thin, clearly trying to look cheerful. She did get him to eat again, so that he could be sent back to the war, in Australia, New Guinea, and the Philippines, where he contracted malaria. Meanwhile, behind our cottage in Santa Cruz, California, my mother planted a victory garden full of zucchini, chard, beans, and tomatoes. Neighbors to the west sometimes sent my dimpled little brother home with his overalls stuffed with fresh corn and secured around his ankles, while I steamed with jealousy. The other neighbors were friendly but a bit odd. Mrs. Fertig was a health food convert and often suggested to my dubious mother common weeds that would be nourishing and delicious in a salad. My mother had taped a large pastel map to the living room wall, moving a colored pin to show where our father was stationed. During the years he was overseas, what I could remember of him mainly was the harsh wool of his uniform, its smell and feel. One balmy Santa Cruz night, we were allowed to stay up late. Our father was coming home. Finally the screen door creaked, and there he was, hugging us all tight against his scratchy wool uniform. He’d brought us two glass animals filled with tiny candies. Of course I immediately coveted Bill’s puppy and despised my kitten. Eventually he opened his foot locker and pulled out, well, booty, from Japan—silk kimonos, platform sandals, inlaid chopsticks, and, I think, a sword. In the months just after his return, we spent day after day at the beach. Every day after school, he would read to me tirelessly, mostly from the Oz books, as if making up for the years lost in the war. After the war, when my father found a job as a resident engineer with the state highway department, we moved back to Santa Cruz, where much post-war construction was underway, asphalt beginning to cover the state. Occasionally we stopped by to see him on a site, where he usually worked out of a trailer on a hot and dusty roadbed carved out of a slope by big orange machines. Before the war he had been studying journalism at San Jose State, but the Depression—and probably drink—had driven him out of school and into a job as a surveyor for the highway department. After the war, he needed to support his family, and a civil engineering degree had seemed a safe choice. California highways and car ownership were expanding virally. Through the years he never seemed to take any pleasure or pride in his work, and I could see why. On our last birthdays our daughter gifted me and her father with DNA test kits. This seemed an opportunity to confirm or deny the existence of my father’s Indian ancestry —and on my mother’s side, there was a mysterious Hungarian great-grandfather who might have been a gypsy or a Jew. The disappointing results had only one, to me rather surprising ramification. The test showed it to be extremely likely that I had ancestors among the first colonial settlers of New England. Thus I could probably qualify for membership in the D.A.R. (Daughters of the American Revolution) a historically racist group that has spent many decades trying to improve its image. At least the colonial New England connection fits with General Eugene Carr’s forbears. And I suppose it was obvious why his military nickname was the Black-bearded Cossack. California Drought, Further notes on. Finally we are getting serious about conserving water around here. If you see water dripping unattended from one of the hanging pots of pink and purple petunias installed by the Downtown Berkeley Association, there’s a number you can dial. Water running across a sidewalk from university landscaping can—and surely will–be reported by concerned citizens. Local response to the drought emergency is merely the latest link in a long chain of responsible civic activism. For decades now, we have staunchly declared Berkeley, California a Nuclear-free Zone, ignoring the japes of those who point out that the atomic bomb was conceived, if not born, in our very city. Moreover, the brilliant composer, John Adams, of “Doctor Atomic,” the opera, still lives in our zipcode, or in one very near it. The Lawrence Berkeley National Lab still sits on the slope above campus, on Cyclotron Road. Their recently published research includes the comforting news that Pacific coastal areas contain no dangerous radiation from the Fukushima nuclear meltdown of March 2011, despite various scare stories in the less responsible media. Research methods included collection by students of rainfall samples around the campus, and measurement of toxicity in the weeds of the principal investigator’s backyard. Nothing you would think would require a cyclotron, or that you would write an opera about. The lab (LBNL) is also currently involved in a study of the impact of fracking on California land. Fracking could, according to more, or less, responsible media, result in pollution of ground water as well as seismic events such as earthquakes. The federal Bureau of Land Management (BLM) is hovering impatiently for a go-ahead so that they can begin to issue fracking permits to all the energy companies champing at the bit to get at the oil in the southern San Joaquin Valley. Less responsible media say that the BLM has become the tool of energy interests rather than the guardian of the public interest. But no opera there, I think. The research into Fukushima’s radiation began as a result of the concern over the Chernobyl nuclear reactor’s fallout in 1986, in the Ukraine. Drought also plays a role in the escalating conflict between eastern Ukraine and Russia. Given the prospect of world war in the region, international investors may very well hesitate to enter into new contracts for Ukrainian wheat. Still, dicey as the political and military situation is, the real concern for the new wheat crop in Ukraine and southern Russia, as in the U.S., drought. In the California drought of 1977, we saved our gray water by opening all the drainpipes under basins and sinks and letting them empty into big pails that we lugged into the garden. A friend visiting from London looked around at our Edwardian wainscoting and hydraulic innovations. “How long do these wooden houses generally last?” she asked. Of course the English on their soggy green island cannot be expected to conceive of drought. California has the world’s eighth largest economy and produces nearly half of the country’s fruits and vegetables, including 95 percent of the broccoli, 81 percent of its carrots, 92 percent of its lemons, and 99 percent of its artichokes, almonds, and walnuts. The drought will dry up thousands of agricultural jobs and will probably push U.S. food prices higher, as with the short-grained California rice preferred in some Japanese sushi and Korean dishes. While California rules in lemon production, Florida accounts for about 70 percent of total U.S. production of oranges, and naturally Florida growers will happily fill in for California’s drought losses in all citrus categories. Although the California drought may not be Florida’s fault, let’s not forget which state’s votes helped elect the man who brought us Iraq, if not Syria. And what state his younger brother governed for eight years. And how their father single-handedly handicapped broccoli futures. Anyway, Florida runs more to hurricanes than droughts. One of the more famous California droughts was the fictitious one in the 1974 film “Chinatown,” directed by Roman Polanski (yes, still alive and living in France). The film evokes unforgettably the power of water to those who can manipulate its supply. A brilliant movie, it ends, of course, badly. In Berkeley we fill empty Florida orange juice bottles with water and sink them in our toilet reservoirs to conserve a half gallon per flush. In 1977 we used bricks to displace water, but they produced undesirable sediment. Then and now, there remains the “mellow yellow” strategy of not flushing liquid waste at all; this makes some of us feel quite daring. The California drought in 2014 looks far and away the worst on some of those comparative infographic maps. However, in Syria during the five years before 2011, when the country exploded into civil war, the worst drought in modern history struck more than 60 percent of the land. Not only was there no rainfall, but Assad’s government had been subsidizing water-intensive crops like wheat and cotton, and using antediluvian irrigation technology to boot. Perhaps Assad had spent too much time in England. In any case, farmers and herders in northeastern Syria lost 80 percent of their livestock, so they had to leave and find livelihoods elsewhere—in already blighted urban areas like Dara’a, where the civil war began. So, Syrian pistachios, not to mention olives and dates, will probably become black market items. Other Syrian exports such as crude oil were not coming to the U.S. even before ISIS ruled the northeastern desert plains. An Al-Monitor news feature, fairly recent, described ISIS’s less violent pacification efforts, highlighting the efficient production and distribution of bread to hungry Syrians. This story has probably been withdrawn, along with Vogue magazine’s glamorous profile of Asma Assad. In any event, one single brother-sister pairing of the Syrian hamster produced the entire population of pets and laboratory animals we know today. The incestuous forebears were captured and imported in 1930 from Aleppo, Syria’s largest city, by a zoologist from the University of Jerusalem. Decades later, Syrian hamsters have become one of the most popular pets and laboratory animals in the U.S. Although hamsters and guinea pigs would seem similar in many ways, they should never share a cage. Hamsters are fiercer and more territorial. How else would they survive in the Syrian desert, especially during a drought? Our family had an amiable guinea pig named Toby who may have succumbed from dehydration in a California bedroom. Or it could have been old age: he was getting on. In Peru, guinea pigs, plumper and more tractable than hamsters, are not pets but protein. Sixty-five million of them are consumed every year. In a pretty courtyard restaurant in Cuzco, I dutifully ordered cuy (coo-ee) which tasted (pace Toby) a bit like rabbit. A reproduction in a Cuzco church of da Vinci’s Last Supper shows Jesus and the twelve apostles sitting around a platter of cuy. Peru, too, has water shortages. My son did field work years ago in an Andean village named Tunnel Six, named for the irrigation ditch that ran along the mountain above it. The family that he knew best in Tunnel Six was eventually able to move to a favela in a coastal city where running water and some education could be had. My son’s godson, born in Tunnel Six but schooled in Piura, recently friended me on Facebook. Peru has had many water wars. Five thousand acres of asparagus require more water than is usually available without a pipeline to the Amazon. Nations go to war over water less often than they do over oil and gas supplies. Where water is the issue, they are more likely to cooperate, however reluctantly, on some plan. Hungary and Slovakia were getting fairly shirty over damming the Danube some years ago, but they left judgment to the International Court of Justice. Some fifteen years later, the court finally ruled, but the real result was based on attrition. Slovakia completed their part of the Gabickova waterworks because it was in their interest, while Hungary has thus far successfully delayed building their part downstream for the same reason. Before the drought, I was beginning to think of planting vegetables again, and maybe digging a pond for trout. Our friend Martin wrote from Prague that trout require running water and we would do better with carp. He has a cottage in southern Bohemia, where there are 7,600 fishponds. Many of them date back to the sixteenth century and probably helped Czech farmers survive endless invasions. What starving soldier would think of stealing fish—least of all carp—from a muddy pond? Carp are bony, and their flesh is not as delicate and tasty as other bottom feeders, such as crab. In this country most fishermen regard them as junk fish, even dangerously invasive. However, Asian carp are the fish most consumed worldwide. In Eastern Europe, for example, carp have always been considered quite palatable. This I read in a book by a Hungarian specialist in aquaculture, which surprised me a little because Hungarian food is so good. Now, with the forint devalued by half, fewer Hungarians are eating well, and pensioners often eat next to nothing. Once I had carp for Christmas dinner in an Austrian hospital, where I was confined with a minor ski injury. The carp was swathed in a viscous white sauce, presumably to help the small bones slip more easily past the windpipe. In the course of time I learned that carp (generally fried) is the favored yuletide dish among Germans, Poles, Czechs, Slovaks, Serbs, Croatians, and even most Hungarians, many of whom share traumatic memories of a holiday carp, live but doomed, in the family bathtub. Could we be looking at a historic role for carp in slowing the fragmentation of the Austro-Hungarian Empire? What about a conference on the subject in, say, Salzburg? Has any music ever been composed relating to carp? A carp quartet? No, but research has shown that certain individual carp can discriminate polyphonic music and melodic patterns, and can even classify music by artistic genre. This finding supports my view that researchers can prove pretty much anything they choose. My namesake, by the way, was the Habsburg emperor Franz Joseph, who had many trying years, ruling over so many fractious would-be nations. 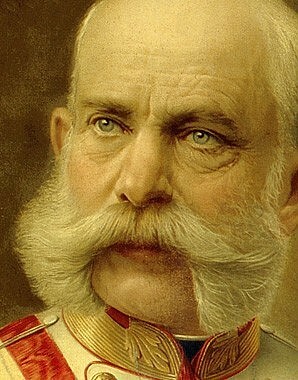 The emperor was named in part for his great-grandfather, Joseph II, a famous reformer—which Franz Joseph was distinctly not, although he did speak all the main languages of his empire. My Moravian grandfather, Franz Josef Pozar on his U.S. entry document, was the youngest son of a kulak family. After their parents died, his eldest brother kept him at hard labor on projects such as hollowing lengths of tree trunks to channel water to the fields—and quite likely to a carp pond as well. In any event, he escaped to the imperial army, and later to California. 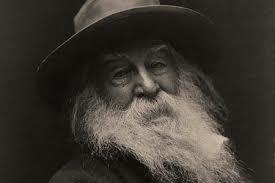 He had only daughters, and my mother was named Frances for him. Then I in turn was named for her when she almost died at my birth. When I was last in Eastern Europe, I spent time with beloved old friends in the Czech Republic, Hungary and Italy, who variously described their present regimes as criminal and entrenched, and the future of Europe as gloomy. (This was shortly before the Arab Spring dwarfed any European complaints.) Italian friends admitted that the Hungarians were in worse shape politically, but the Czechs wanted it to be clear that their own government was hopelessly corrupt. Before, during, and after sharing our political and economic complaints, we ate and drank most heartily and discussed our absent friends, wayward children, and the strange weather. When I arrived in Florence, it was the end of the hottest September in recorded history. I stayed with an old friend in a converted convent with a garden and terrace. She is well prepared for survival under most conditions, assuming that she could ever bring herself to replace all of her geraniums, marigolds, oleander, petunias, et cetera, with useful vegetables. I did not even mention a carp pond because she will not eat fish except at the seashore. Even a rising sea full of melting icebergs would not make it as far inland as Florence. And when did anyone ever see carp on a Tuscan menu? Between Florence and Budapest I traveled on a sleeper train. In the morning the technicolor shores of Lake Balaton and its summer cottages and parks rolled past my window for a long time. Balaton is the largest lake in Central Europe and full of fish, including thirty-pound carp. The cheery rows of painted cottages and huts lining the lake could have been lifted from Jean de Brunhoff’s elephant utopia. Nonetheless, my Budapest friends, already fully occupied with good works, were making time to march in protest against the hijacking of their democratic republic. In China fishponds have been identified as early as 451 B.C. Presumably archaeologists sifted significant piles of little bones like those concealed in that Austrian béchamel. The Chinese developed the main varieties of Asian carp, as well as the bright-colored koi. In California, where I live, Chinese cleared the rocks and built the roads to Gold Mountain. And later, their great-grandchildren were the best students and colonized the University of California—even before China came to own a large part of the American economy. All of my doctors and also my dentist are Asian. I like to pretend that this was my initiative. In California the Japanese too were thriving, until they were sent to camps after the attack on Pearl Harbor. My husband’s uncle, a Jew, drove a car that had been confiscated from a local Japanese family. He said that he was “saving” it for their return. This was credible only because his closest lifelong friends were Japanese and Filipino. As to carp, the Japanese have developed mainly the ornamental koi, which are thought to bring luck, but this may have changed since the Fukushima disaster; what matters most now is whether or not a fish is radioactive. We raised our children in California, but neither of them has married an Asian. The anthropologist once remarked, no doubt sincerely, that he felt a little guilty for not having mated exogenously. Our daughter’s two older children have dual citizenship, thanks to their father, a Canadian Jew, who said that it might be helpful sometime, given the way things are going in this country and the rest of the world. A spawning female carp may produce a million or more eggs. A posse of males, swimming alongside her, fertilizes the eggs as they drift off. In case of high population density, adult carp will eat the eggs, perhaps to enhance survival of the fewer remaining, or because the adults are hungry. Hungarian visitors once brought us a small aloe plant that they had dug from the sand in Death Valley. It is now huge and looks rather peculiar in a big pot under the redwoods, which also look rather strange, agreed, next to the stand of bamboo planted during Prohibition to hide the wet bar on our terrace. The bar is long gone, though there is still plenty of drinking there. We put the aloe on the terrace whenever our Hungarian friends are in town and may stop by. In those years, as we were making room to plant something—artichokes?—in the back garden, the hole began slowly to fill with water. At first we were afraid that we had broken into a water main, but then it seemed more likely a sort of hernia from the creek that moves underground diagonally across our block, at least on a map. Although ours is the most densely populated neighborhood in the city, the occasional family of racoons or skunks appears in our driveway, doubtless because of the creek. We filled the hole, but I’m imagining that water will bubble right up again when we excavate the pond. And the racoons, if not the skunks, will surely be a threat to our carp population. Half a block from us, at the corner of the park, there used to be a water pump and drinking fountain marking the underground passage of the creek. Of course the pump was vandalized and eventually replaced with some straggling succulents. In fact the park had originally displaced several blocks of old houses that had been demolished or moved to make space for it. At the same time, only two blocks away, at the more famous People’s Park, Berkeley students and street people were protesting against the Vietnam war by ripping up the blacktop and planting flowers. Decades before Ferguson, Reagan sent in the National Guard. Meanwhile, the sedate citizens’ committee at “our” park wanted to make a more positive statement, but couldn’t agree on a plan. So they simply rolled out a few acres of turf, later planted some trees, and much later built a playground. It was called Willard Park, after Frances Willard, the temperance and suffrage leader, a more interesting woman than you might think. A homeless woman has settled with her black plastic bags in the corner of the park nearest us. She has long curtain of brown hair, graying, and a sad, sweet face. She seems to sit all day on a low stone wall in the shadow of clustered redwoods. Maybe she sleeps there in the bushes. Once, in the rain, I approached her and asked if she could use some help, or if she preferred to be left alone. She looked frightened, and nodded at the left-alone part, so I stumbled away. If I’d been thinking, I would at least have left my umbrella for her. Thanks to the Chinese (again), umbrellas are easy-come, easy-go. Not that we need them in 2014. Unless the drought has drained it, the underground creek could prove to be a problem when we excavate the pond. We wouldn’t want the whole back garden to turn into a giant sinkhole. Martin promised to send a book on pond construction. I didn’t ask him from what century, but wouldn’t you think the principles would be the same?—and after all, the Bohemian pond system has lasted five hundred years. Now that I think of it, Martin’s cottage, near an old Schwarzenberg castle, sits right above a small pond. They could stock it! But right now he and his wife are finally feeling prosperous and cosmopolitan, and seldom eat unhealthy Czech food such as fried carp. They have a new Japanese son-in-law who is a good cook. According to the Hungarian fish professor, our pond will only need to be about 1.5 meters deep. Probably it would be good to mound and pack the soil around the edge as we dig the hole. Actually, we should consult with our son-in-law, a hydraulic engineer, and have the work done by professionals—soon, while we have the money, but before we really need it. And who knows how much time we have? The Bay Area is notoriously prey to all kinds of natural disasters—not just drought but earthquakes, floods, landslides, tsunamis, and wildfires, not to mention unnatural phenomena such as suicide bombers, intercontinental missiles, and bioterrorism. One granddaughter, gifted and also providential, has taken it upon herself to assemble a survival kit. I tell her that we can’t be ready for everything. But in fact, we can take certain measures, including constructing that carp pond to ensure a continuing protein supply. Doubtless there are city guidelines that we’ll need to follow. Given that Berkeley is a “nuclear-free zone” and areas around Berkeley schools are “drug-free zones,” a whole code of restrictions must govern any body of water in a residential zone. I have been looking into vegetables that thrive near water. Rice fields are probably better on a larger scale. Also, it would be better to have vegetables that can be eaten raw, since we won’t be able to count on power. Watercress? Might be eaten by fish. 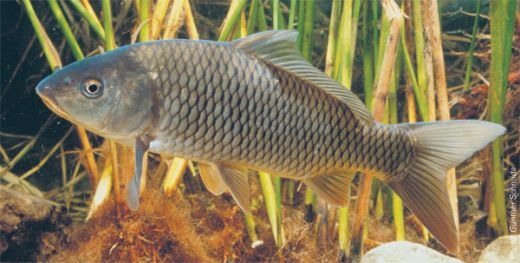 The grass carp is said to eat greenery like a lawn mower. Occasionally I wonder how soon we will be pushing wheelbarrows full of money to pay the butcher, the baker, or the dentist, as they did in Weimar Germany. Not too hard to imagine cash soon being worth, pound for pound, as little as books. Sometimes there are aquariums in medical offices, maybe because the motions of the fish are interesting, or at least soothing, to watch. I’m guessing that the water in our particular pond may be too muddy to see the fish. In a Department of Natural Resources sting in Midland, Michigan, a man selling two live grass carp to undercover agents was arrested and charged with ten counts of possession and two counts of sale of illegal species. The man, who was driving a pond-cleaning company truck, was out of state—from Arkansas. He could be fined $20,000 on each count and serve up to two years in jail. A local editorial warns that the time to stop the Asian carp invasion is now. The idea is: if we can’t keep Asian products from our markets and homes, we can at least keep their silver and bighead carp out of our waterways. Already the U.S. Army Corps of Engineers has identified carp DNA more than once in Wisconsin waters. Not a great leap to imagine a Fox News trailer showing a Berkeley couple raising invasive Asian carp in their backyard.